For urban-legend hunter and television host Gabe Powers, it’s business—investigate the most notorious haunted places in Savannah. Then he meets his new sound engineer, a dewy Georgia peach who may just turn this gig into (im)pure pleasure. All it takes is one night for them to conjure floor-rattling, wall-banging moans… but they’re not from the ghosts. This is a really enjoyable read, with a romance which is definitely worth believing in, and some interesting twists! Lily lives in the flat above her sister and nephew, her life settled and calm. Then she hits a guy in the face with a microphone stand, and her world changes forever. Gabe, the recipient of said hit, is also struck by his attraction to Lily, and cannot stop thinking about her. There is a classic insta-lust / love feel to this story, which works well, possibly because they are both that bit older, and so, more worldly... well, Gabe at least! The humour in the book is led mainly by her pet and her nephew. There are some truly laugh out loud moments that also cement in the reader's mind, that this is real, not just infatuation. I really enjoyed the investigations into ghostly events, and the tour of the area to find the unexplained. It brought a mixture of charm and innocence to the book, which suited Lily perfectly. I have to admit I would have read on about them a lot longer if it had been written, I was totally engrossed. 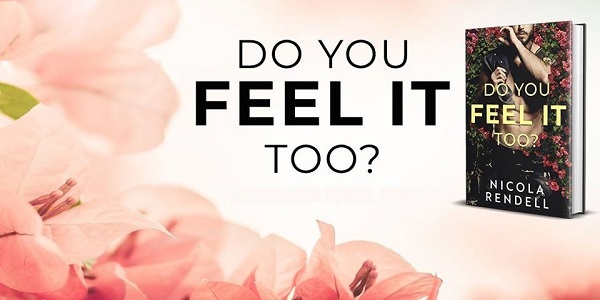 Reviewers on the Wicked Reads Review Team were provided a free copy of Do You Feel It Too? by Nicola Rendell to read and review.